Chris Maddocks offers a candid account of his life in sport that follows his metamorphosis from ultra-competitive school boy into a slightly un-hinged athlete nicknamed Madmax. Belligerent to the end, his story is one of perseverance and dedication, sacrificing career and relationships along the way. 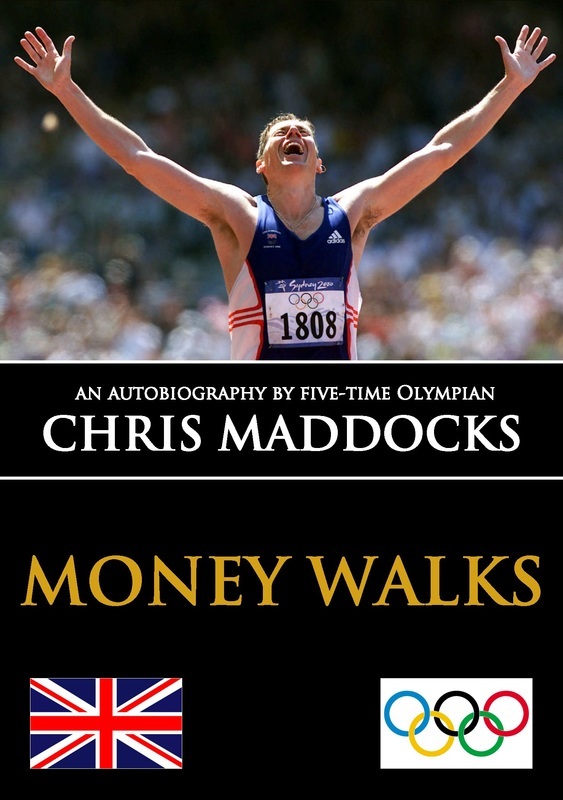 In his autobiography, "Money Walks", Maddocks recalls starting his days growing up on a council housing estate in the 1960's and being naturally over-competitive. He ran a marathon when he was just 10 years old, was heartbroken at 14 when he only finished fourth in the local 50 mile sponsored 'walk', and kept going, year after year until he won it aged 18. "Never give up" was the doctrine that would ultimately permeate throughout his life, culminating in his final race at the Sydney Olympics, ending under the most extraordinary and epic circumstances. 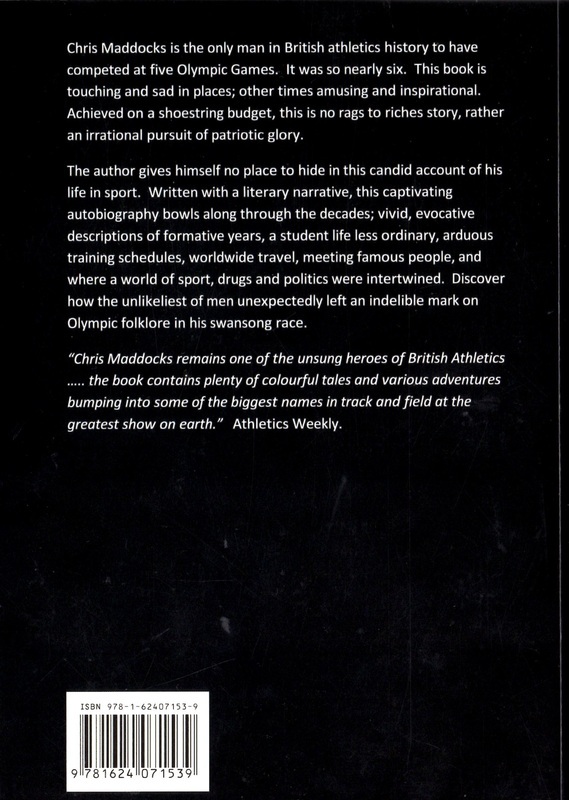 From Los Angeles 1984 to Sydney 2000 is only part of Maddocks' tale. Astonishingly, his Olympic career might and perhaps should have started four years earlier at the Moscow Olympics in 1980. Following an international 50km win in Poland, selection seemed assured. Alas, team policy and world politics deemed otherwise. Disillusioned, he retired from racing for the first time only to return more headstrong and determined than ever. Never shy to stand-up for what he thought was right, controversy was seldom far away. A Corinthian from beginning to end, he writes deftly about the evolution of an essentially amateur run sport that gave rise to shamaterism before increasing levels of professionalism took hold. It was not always so. After that win in Poland, he describes how in the changing rooms he naively and so very nearly agreed to swop his Union Jack racing shorts for a bag containing what was almost certainly not an assortment of sweets. Drugs, politics and sport, inextricably entwined. The apparently glamorous life of a globe-trotting athlete belied the stark fact that back home bills needed to be paid. A farm labourer, a police cadet, a baker, a veterinary assistant, and more than once, a student. Nothing, including a multitude of amusing, irritating and sometimes calamitous student distractions, would stop him from realising his Olympic dream. Finally, with Sydney 2000 selection achieved, he never stopped wanting more. An elusive, seductive, recurring dream? Perhaps? And so it seemed. This is no rags to riches story, rather an irrational pursuit of patriotic glory. 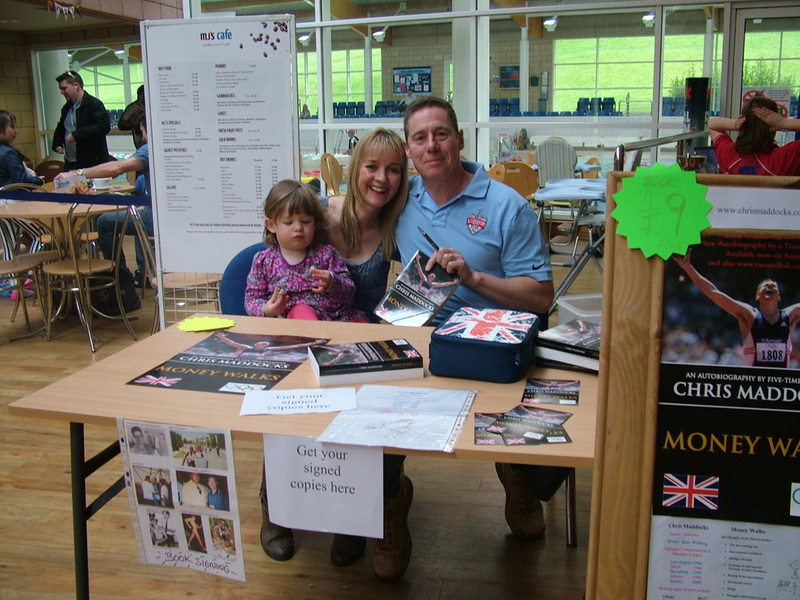 The cost of the book is £9 when purchased in person or at a book signing event. 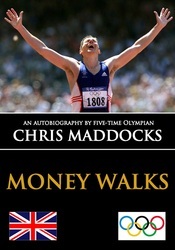 Details of forthcoming book signings will be posted on Chris's blog, Twitter and Facebook.